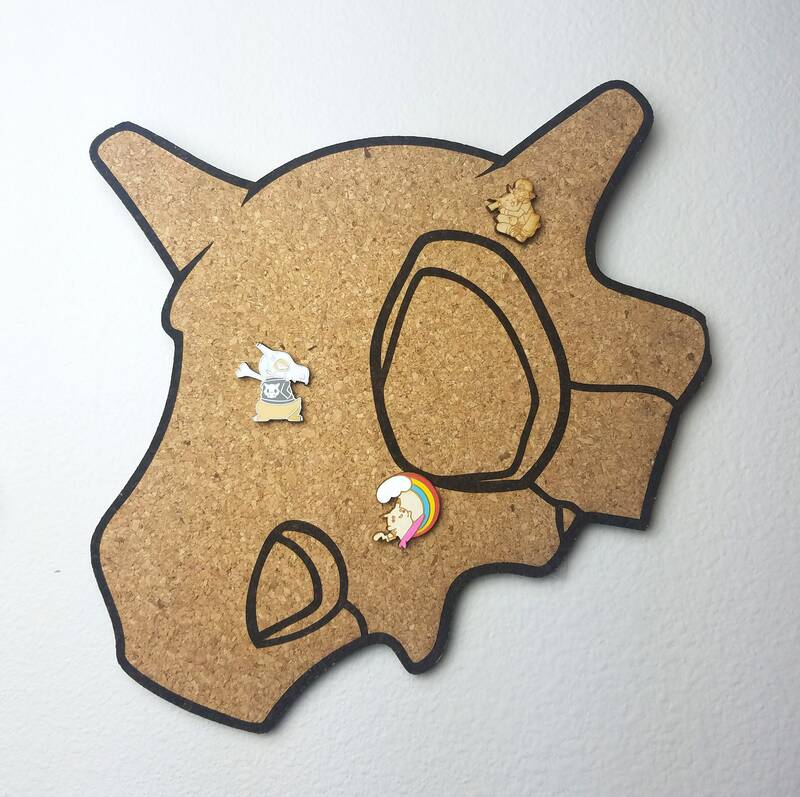 Perfect for pin collections, photos, and more; this cork board is designed and laser cut by me. 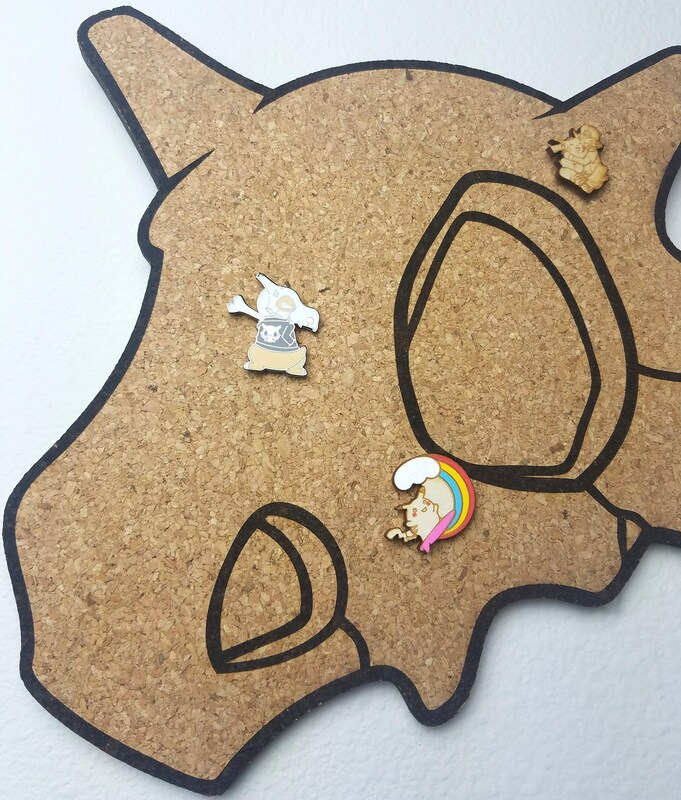 Cork measures 1/4" thick and is adhered to 1/16" thick MDF backing to prevent pins from touching the wall and has a bracket for easy mounting. This cork is available in two different sizes; 12" tall or 18" tall. 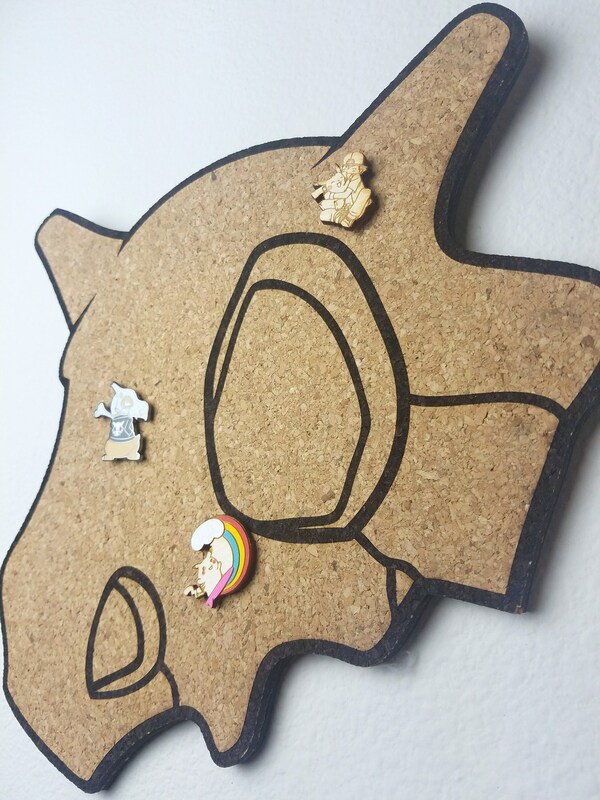 Colors may vary in photos, but all cork boards are created using the same high quality material. 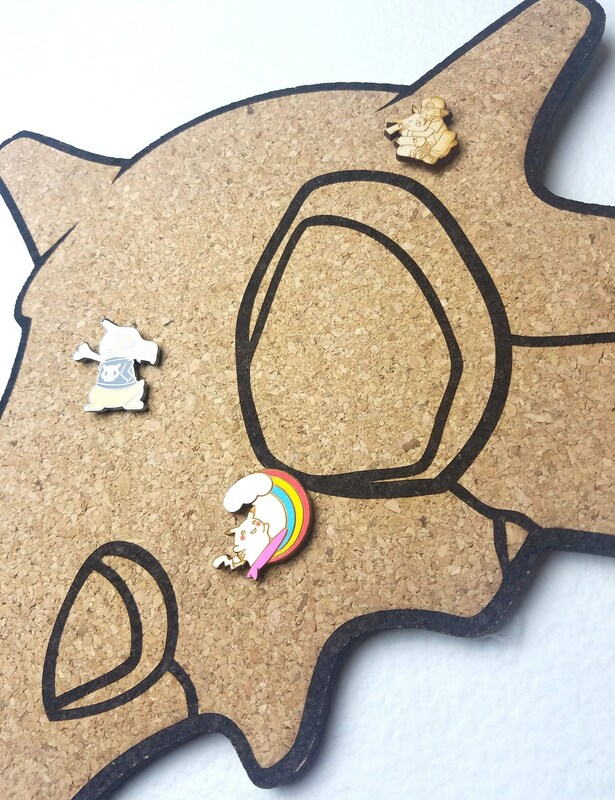 We can make any design, so please send me a message if you need a custom design made. 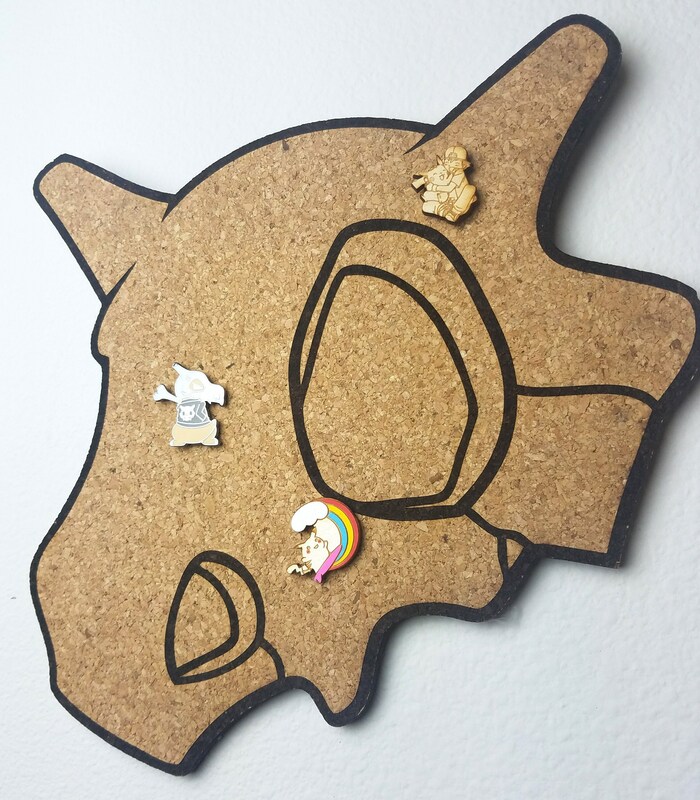 Cubone pin by Pewter City Trading Co. Bigger than i had expected and of great quality! So cute! Great quality! I love it so much thank you!